PCTEL Inc. released at DistribuTECH a new dual-band 802.11ac/p MIMO antenna that helps boost data rates and reliability for utility networks, intelligent transportation systems and other industrial IoT (IIoT) applications, according to the company. PCTEL’s Coach 4×4 Wi-Fi/DSRC GNSS multi-band antenna is designed for both mobile and fixed deployments, enabling smart grids, mobile workforce communications, and advanced automation technologies across a variety of industries. The antenna also supports Dedicated Short Range Communications (DSRC), a common interoperable safety standard for vehicles. “PCTEL’s latest antenna will enable the future of the IIoT,” said Rishi Bharadwaj, PCTEL COO. “For example, advanced smart grids utilizing Coach antennas could reduce outages and efficiently manage alternative energy sources. “Coach antennas also provide mobile connectivity for applications such as DSRC, which has the potential to revolutionize road safety. Those are just some of the possibilities. 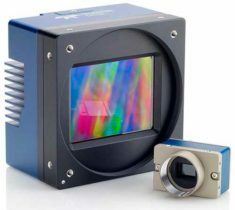 PCTEL’s advanced RF design and environmental testing capabilities enable us to deliver superior 4×4 MIMO performance and exceptional durability for the most demanding applications,” added Bharadwaj. This new low-profile antenna features four-port 2.4/5-GHz coverage along with PCTEL’s unique high rejection GPS/GLONASS technology for network timing and tracking, all in a single IP67-rated housing. 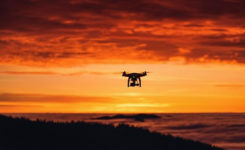 It supports a variety of wireless technologies, including broadband mesh networks, 802.11ac Wi-Fi and 802.11p DSRC Wireless Access in Vehicular Networks (WAVE) standards for direct vehicle-to-vehicle (V2V) and vehicle-to-infrastructure (V2I) communications. This is the latest in PCTEL’s Coach antenna series. Coach antennas have been deployed in a variety of mobile and IIoT applications around the world. 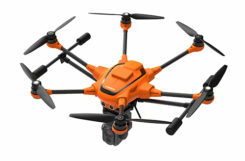 Their UV-stable design facilitates maximum installation flexibility without antenna orientation restrictions, the company said. PCTEL is displaying its Coach4x4 Wi-Fi/DSRC GNSS multi-band antenna Feb. 5-7 at DistribuTECH, booth 11750, in New Orleans. 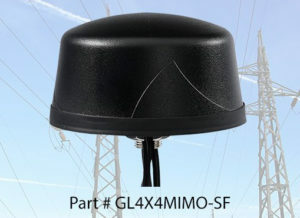 It is available now to order using part #GL4X4MIMO-SF.